1. 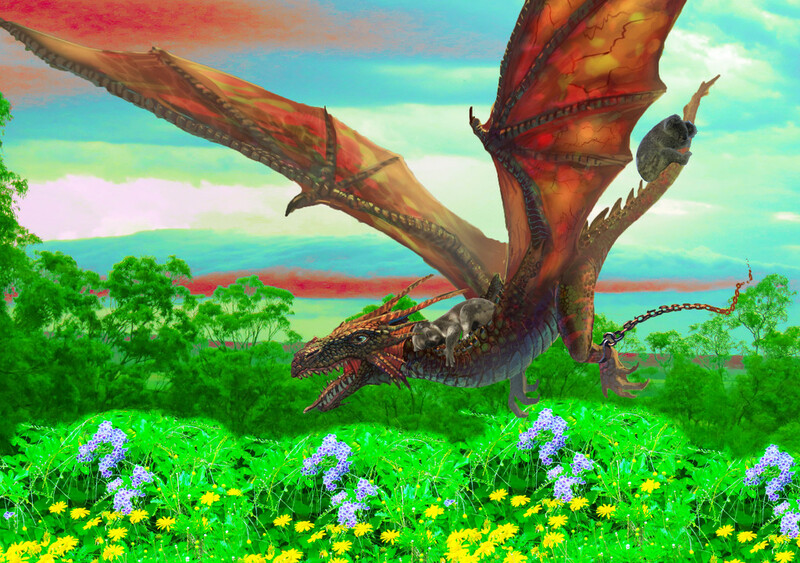 Composite challenge theme 'sweet' - how sweet would it be to ride on a dragon? 2. ETSOOI challenge to double up the fun. Hope you enjoy the bit of fun with me. That’s a fine dragon but those koalas need to hang on tight. I've always regretted that dragons and unicorns only exist in legend and myth... the world is a poorer place for not having them - this one is splendid. That is a great dragon composition. Have you read Mary Stewart’s Merlin trilogy??? Did you read Anne Mccaffrey’s books about the dragon riders? Wow. you did a great beautiful job. Fav. Awesome edit on this one. I wish I could meet one and photograph it too!